A partnership between ArtBridge, PS 13 Clement C Moore, and NYC’s Department of Health and Mental Hygiene’s Active Art in schools. As illustrated within OneNYC, children spend about half of their waking hours in school and these sites are uniquely positioned to support increases in physical activity levels for students. 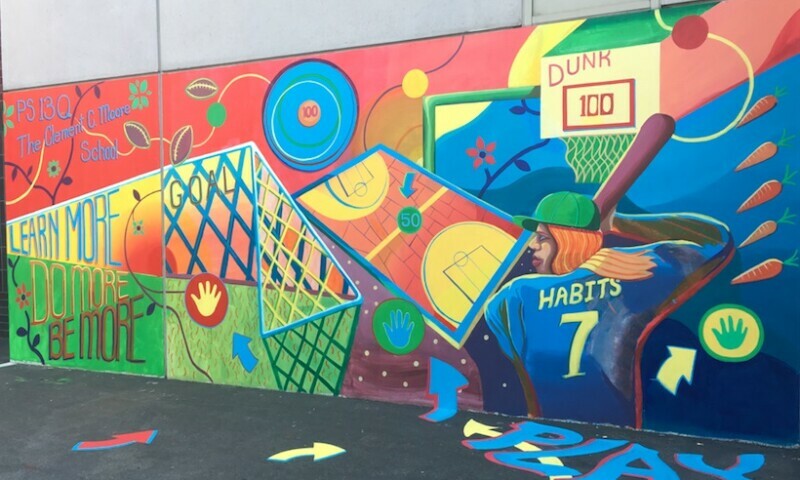 In an effort to encourage active play in schools, the NYC Department of Health and Mental Hygiene’s Healthy Living by Design Unit invited us to lead a participatory, youth-inspired process to design and install and Active Art installation at PS 13 in Queens.